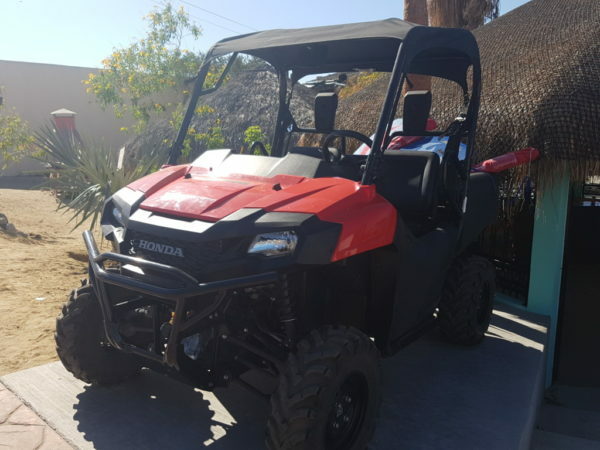 Thanks for checking out QuadGirl ATV / UTV Rentals located in Los Barriles, BCS. Listed below are current rentals rates for our quads, ATVs, UTVs, 4 wheelers, side by sides and Razors. If you have any questions, feel free to call us toll free at 1.888.782.3748 or shoot us an email and we’ll get right back with you. 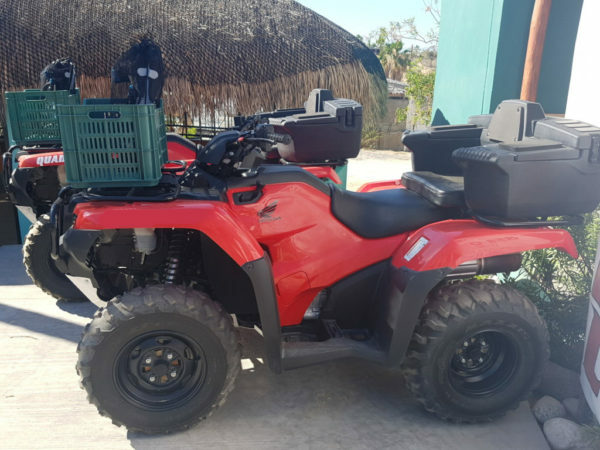 We can deliver the quads to your hotel or vacation rental for no extra charge. 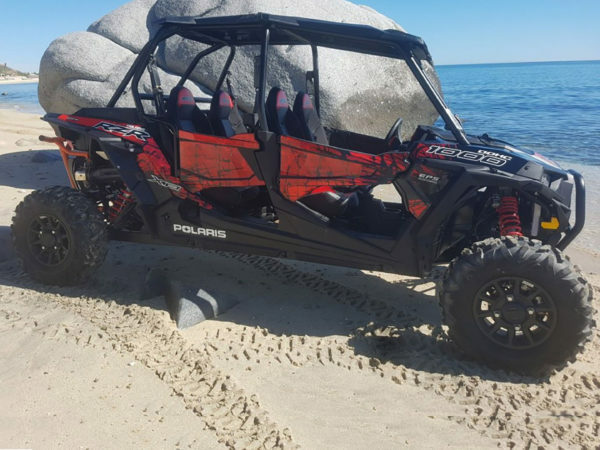 Larger, heavier and more spacious than ATVs, UTV rentals lend themselves well to off-roading with kids, since it’s both easier and safer for children to be buckled into a UTV. It doesn’t get better than this! 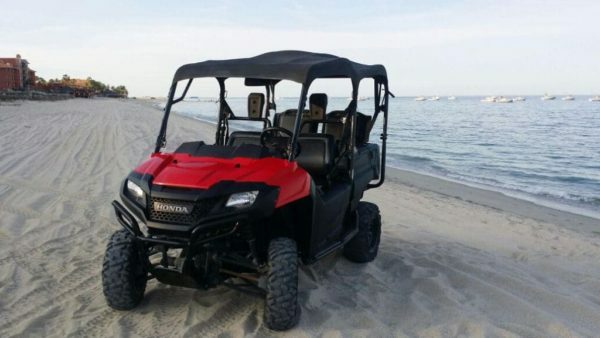 The “Black Pearl” has arrived and is the latest in the QuadGirl fleet of quads available for rent. The Razor XP 4 1000 offers more power yet safer driving controls with a precision tuned suspension system and amazing ground clearance. With our top of the line shocks on all four sides, you’ll feel like you’re driving on air! An amazing experience! Be sure to ask about our guided adventure tours! Explore hidden waterfalls or escape to a secluded beach to snorkel or fish – it’s your adventure! If you have questions – big or small, or want to make a reservation, you can reach us toll free at 1.888.QUADS4U (1.888.782.3748) or email us and we’ll get right back with you! 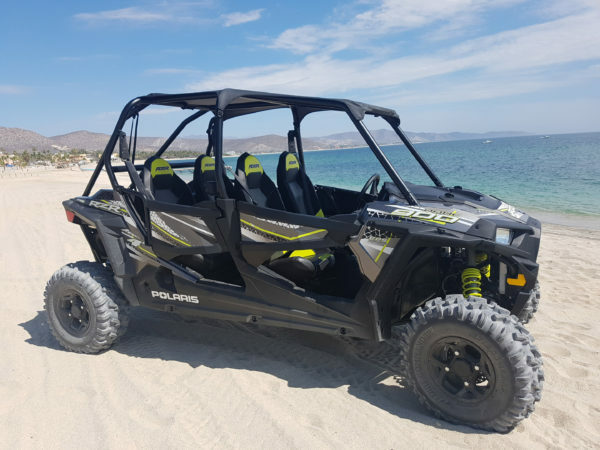 ATV rentals, quad rentals, SxS rentals, 4×4 rentals, Razor rentals, UTV rentals, 4 wheeler rentals – it doesn’t matter what you call them as long as you get on one! QuadGirl & QuadDawgs has the perfect quad to fit your needs – whether you are on your own or traveling with your family.